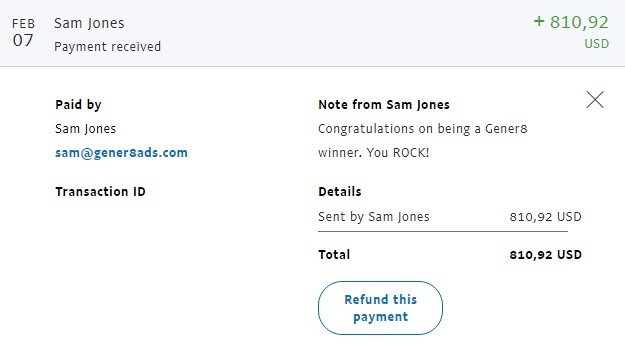 Looks like I won the 3rd place at the referral contest in partnership with Streamers Connected. The leaderboard is here, check if you are in there. For top 10 there are cash prizes and top 100 can claim a t-shirt with Gener8 logo if you contact them. I received in PayPal the equivalent of £650 in dollars (minus the conversion fee from PayPal).